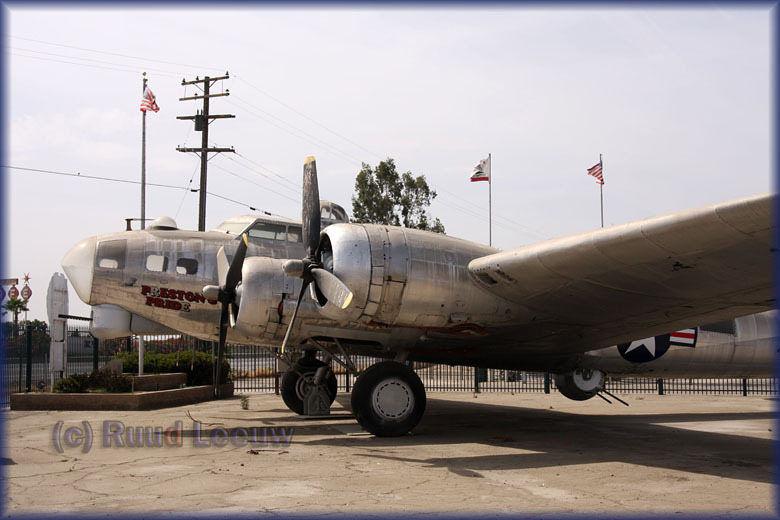 While driving south on Highway 99, near Tulare, I noticed this B-17 on the other side of the freeway, just in time to get the exit and cross to the other side to pay my respects. Here at Mefford Field is a memorial dedicated to the American Veterans of World War II from Tulare County. There are two planes, a B-17 and an F-4 (F-4s in WW2? Oh well, it is the thought that counts!). "I used to drive by that same B-17 bomber in the early 1970s, before I-5 was completed. I used to drive from the SF Bay Area to Riverside where I attended the Univ. of California, Riverside, from September 1971 until the fall of 1973. 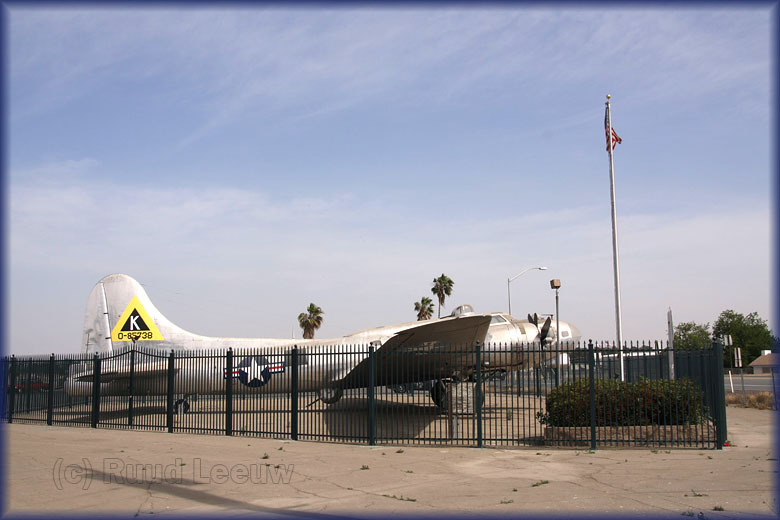 I always stopped in Tulare to see the B-17! Today, I finally took a ride in an airworthy B-17, one of eleven in the world still flying. I've been waiting all my life, esp. the last 25 years, to do that! I live near Dallas, Texas, now, and we have airshows that come through pretty regularly. Today I decided I would fulfill a dream and pay the hefty ticket price ($475) for 45 minutes in the plane, including 25 minutes in the air, which also helps preserve the plane itself. 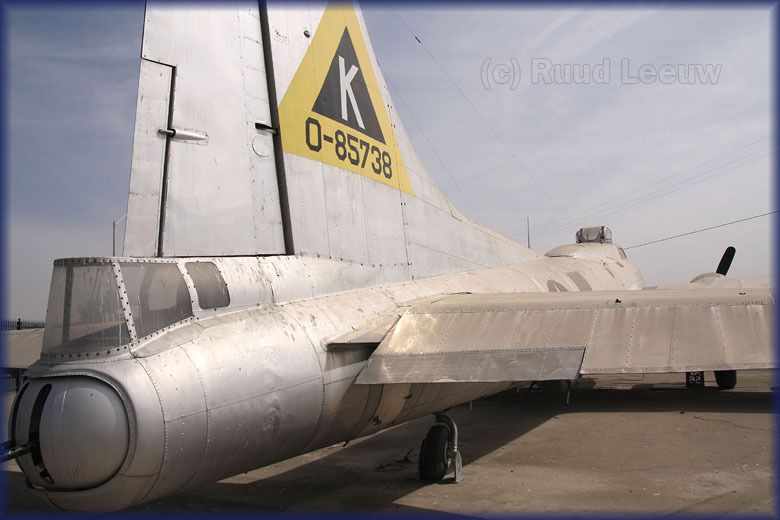 Too bad Tulare does not have wealthy benefactors that could restore this plane and get it in the skies again. Thanks for letting me see what the B-17 looks like today. I'm pretty sure that there was a fence 45 years ago. I'll bet the accident in 2003 went through the fence! It looks like it is in great shape. Restorers have worked with a lot worse, from what I hear." Bob Anderson wrote me (15Nov16): "I took a picture of a B-17 at Tulare,CA when I was training in KC-135s at Castle AFB, in December 1966. My wife took this photo of me and Boeing B-17 'Preston’s Pride' when we were on our way to L.A., on Christmas leave that month. 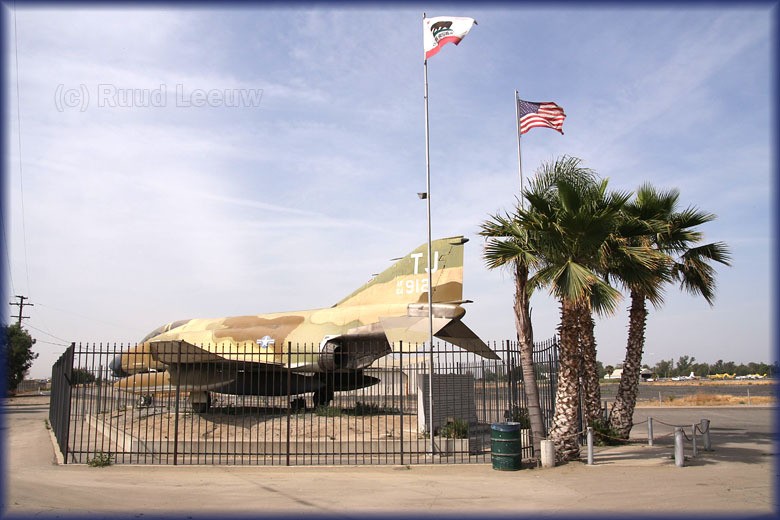 As you can see, at that time 'Preston’s Pride' was surrounded by a chain link fence, very likely the same one mentioned by 'Ron' on your website, USA 2008. 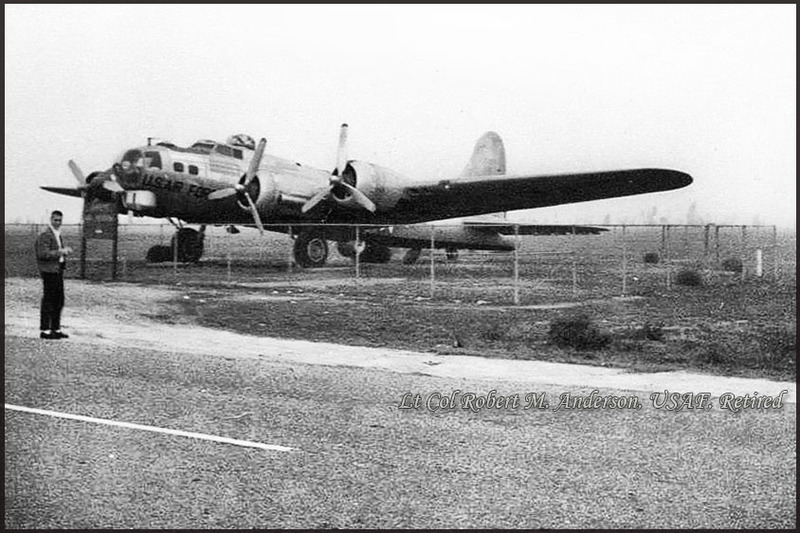 I am glad to learn that, after nearly fifty years the old B-17 still survives." Tex Rankin was president of the Hollywood Motion Picture Pilots Association in December 1940 when he signed a War Department contract to open a school to train U.S. Army pilots. 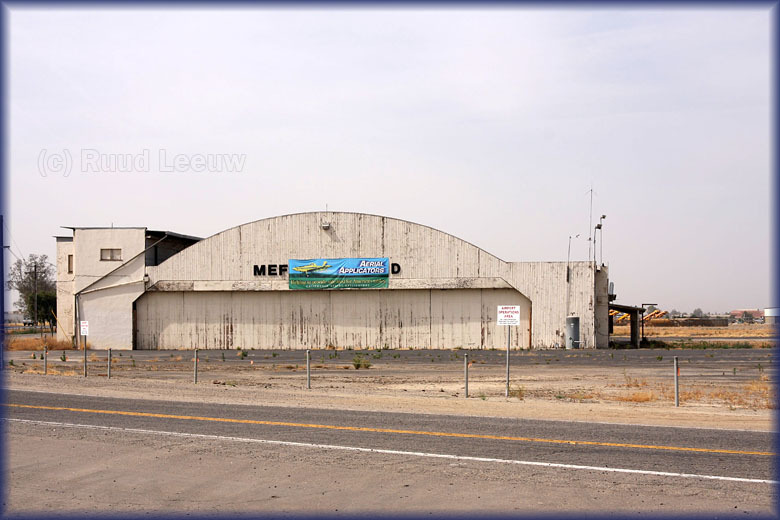 First flights began the following February at Mefford Field, on the outskirts of Tulare. 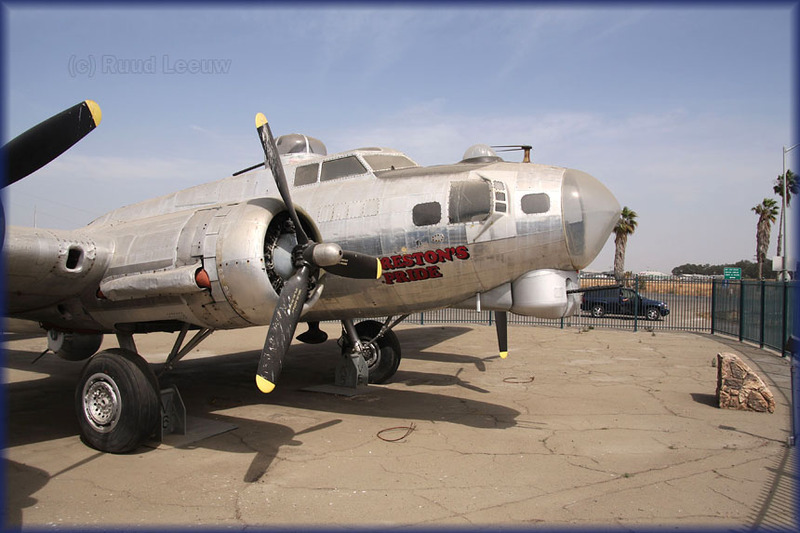 This B-17 Flying Fortress "Preston's Pride" is a gift from the USAF to Amvets Post No. 56, as a memorial to all men and women of Tulare who served their country in World War II. 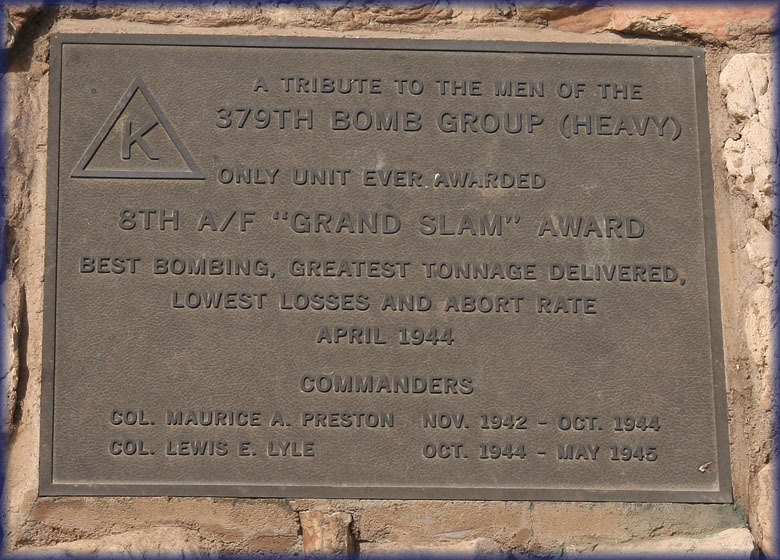 It is also a tribute to Major General M. Preston, Operations Chief U.S.A.F. retired, who flew the plane to Tulare on 05Aug1958. Now you know why they built that fence around it! 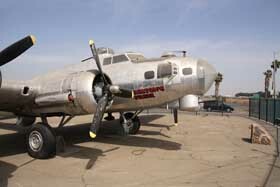 B-17G "Preston's Pride" 44-85738 at the Amvets Memorial at Mefford Field, California.